Peonies are always popular with brides and they’re one of my all-time favourite blooms. With their blousy petals and soft fragrance, they always look beautiful and romantic. They also come in a range of colours including soft whites, blush to hot pink, coral and even burgundy. Peonies are in season for a very short time, usually from the end of April through to the beginning of July. This does depend on how early spring arrives and when the heat of summer begins. 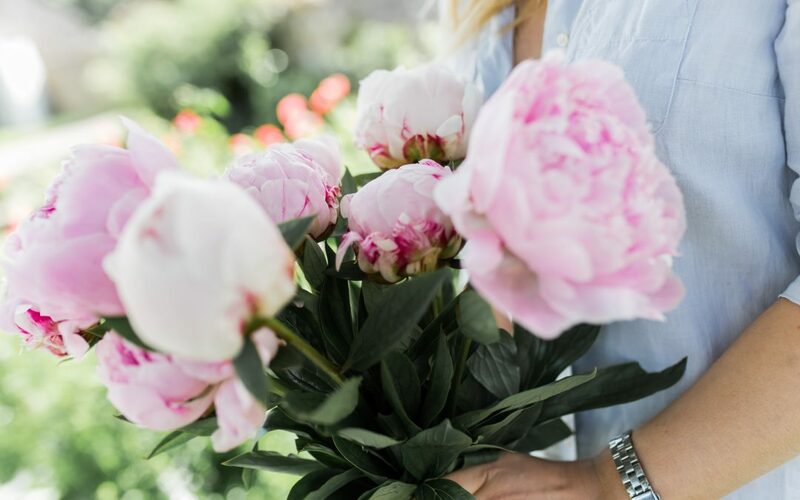 Generally, peonies are at their peak between May and June, so if you’re getting married between these months, you can guarantee them for your wedding. 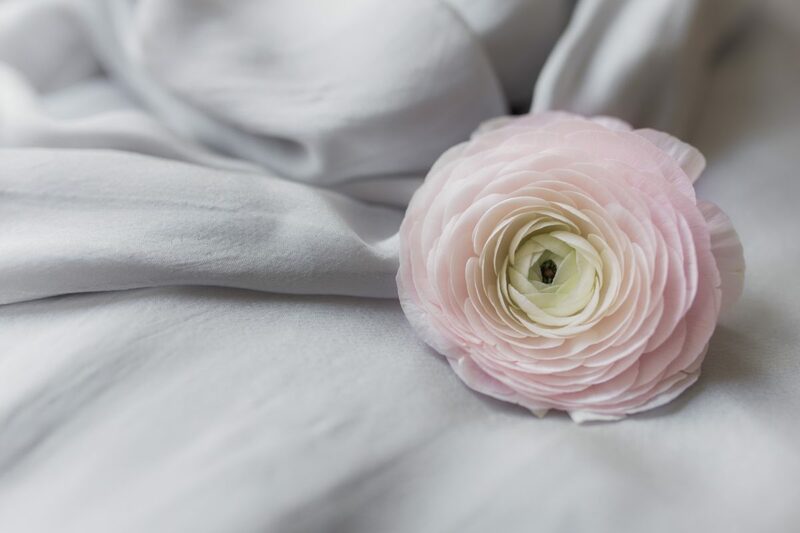 If you’ve fallen in love with peonies, but you’re not getting married while they’re in season, there are plenty of beautiful alternatives to choose from. A garden rose is the next best thing to a peony and what I always recommend to my brides. With delicate petals and a soft fragrance, they look very similar. The good news is they’re also available all year round! David Austin are a favourite of mine and you can choose from varieties such as Patience, Darcey and Juliet. Ranunculus are another excellent alternative. Smaller in size, they resemble a mini-peony, although the Cloni variety have much larger heads. These are in season from autumn through to spring and come in a range of colours including various shades of white, purple, coral, pink and crimson. I love dahlias too. Their arrival normally overlaps with the end of peony season and they’re available right up until mid-late October. They have a slightly different look to peonies, but their full shape makes a huge impact and they also work well paired with garden roses. I adore the different shapes and sizes of dahlias, especially the amazing Café Au Lait variety which is a beautiful soft blush colour. No matter which flowers you find yourself drawn to, it’s important to work with the seasons if you want the best quality blooms for your wedding. I’m always happy to offer advice and suggest good alternatives if your favourite flower isn’t available. You can read more about what’s in season and when in my blog posts here and here.